I call her Lori Lori. We met back in 07' and have been friends ever since. What I love most about Lori Lori (besides her great personality, humor, and drive - she's an amazing Director) is her style.She's an original. 1. Where are you from? I'm from Chicago! Been a resident of NY working on 11 years now. 2. Describe your personal style in 5 words. Cute and comfy with some sexiness? LOL!! I don't know......5 words is super hard! 3. Where do you find your clothes? For the past year I have been all over thrift / vintage stores around Brooklyn and Manhattan. Salvation Amy even. 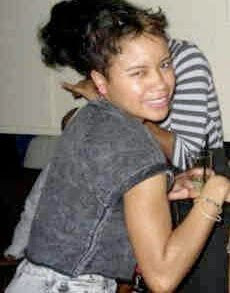 But I do what I consider the easy norm, H&M, Forever 21, Urban, lol, I think it's all about how you wear it. 4. Whose style do you dig? Mary Kate all day, everyday!! My closest friends know of my obsession. I think it's her size, we are both tiny! And just her choices and the way she rocks things, I love it. I like wearing big oversized coats or jackets or sweaters with really skinny jeans or leggings, tights even....I have left the house with a long shirt/sweater and tights....no pants at all!!! I also have these thoughts or wearing just one big bubble or big pumped up trash bag in the summer, sort of Missy like in the I Can't Stand The Rain video...lol!! 5. What is the one item you can't leave your house without? Clothing wise I'm not sure....hmmm... I really can't say I have one thing clothing wise, but as far as accessories, I love my owl and elephant rings, kind of stuck on those right now and earrings, even if only studs because my hair is short. Actually for a while I could not leave without my Aquaphor. Does that count? LOL! 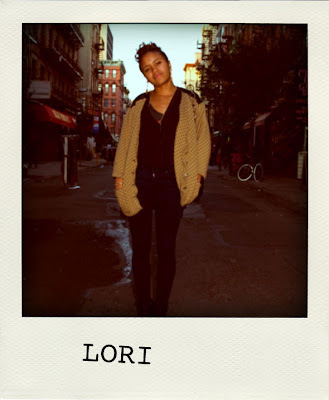 2 comments on "Lorilorillitu Introduction"
AAWWW Lori Lori, best dressed in the office :) I love this post!